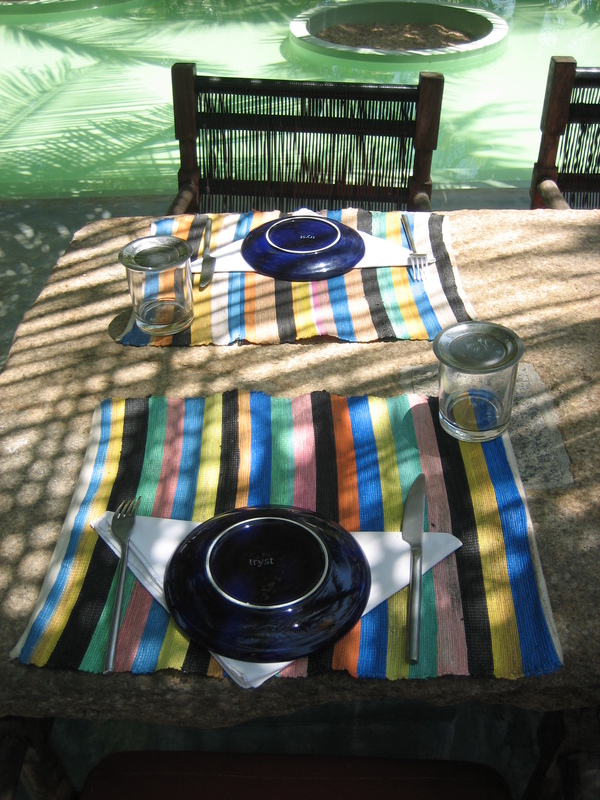 Mid September, ART D’ECO joined the artist in residence program at the Dune eco Village , a LOST PARADISE ! 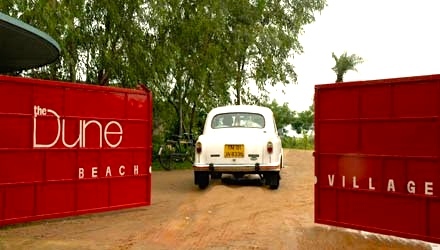 (http://dunewellnessgroup.com/dune-eco-village-and-spa/) , near Pondicherry in South India. 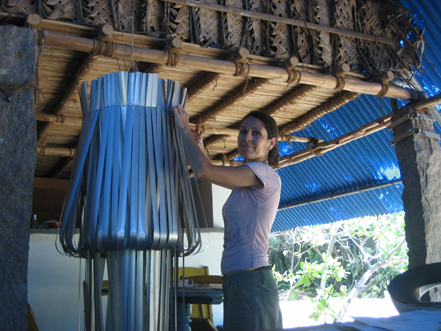 The eco village itself is a gorgeous green place on the beach and still in the making. 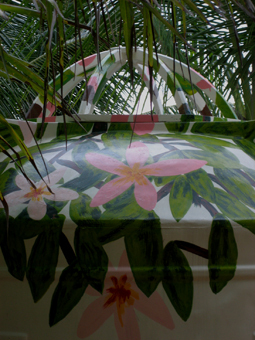 50 thematic villas and suites are available as hotel rooms. 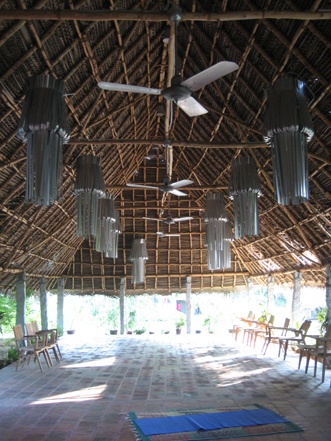 there is the eco farm (animals and vegetable) , the nursery, the SPA and its own herbs garden and the villas equipped with bikes for people to go around. 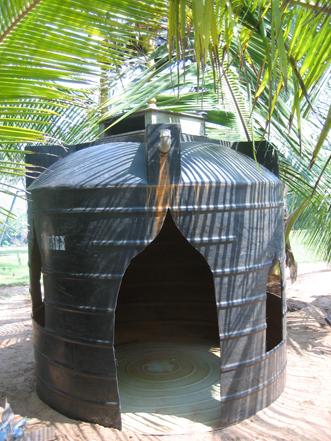 the whole resort is run according to sustainability : energy is solar or electrical (vehicles) and water is re-used in a closed water system (watering the gardens with used waters for instance) . 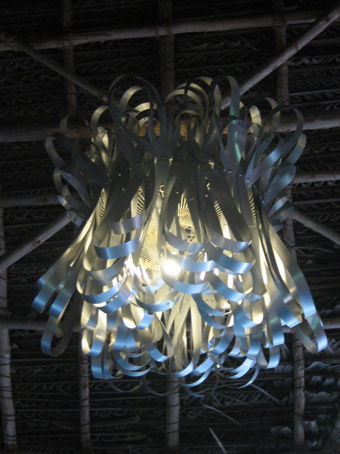 I have taken the opportunity to re use all the construction waste or the waste generated by the clients everyday to make something new and needed in the resort. 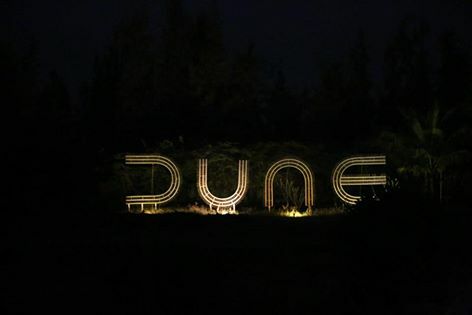 D.U.N.E light sculpture this consists in 4 sculptures in shape of D. U . N. E with a metal frame (letters are + 2.5 m high ) and used Kingfisher beer bottles fixed on it. 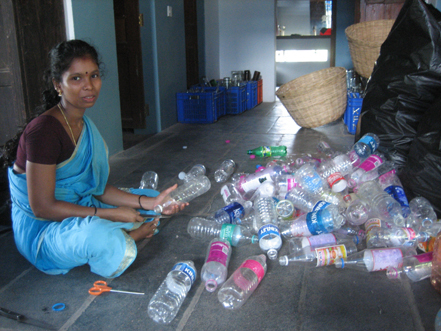 all in all, more than 2000 bottles will be re-used for the completion of this project. . With the people from Dune it was decided to make this project in time as the bottles get consumed and become items to recycle. 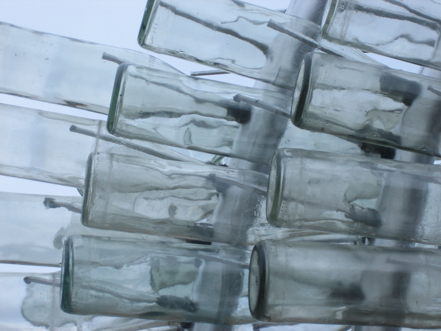 soon, each of us will be able to add his own bottle to what has become an interactive project. 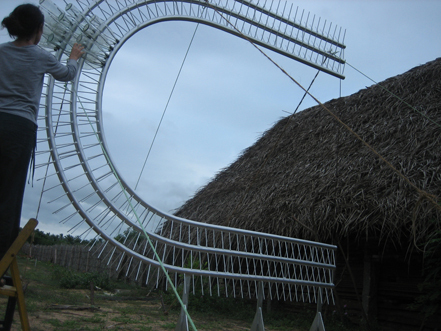 Once completed, the sculpture will be lighted up from the inside and will be the sign standing at the entrance of the eco village. 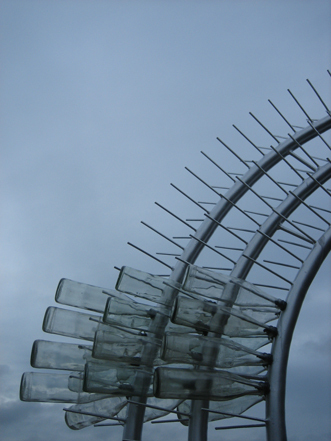 You are all invited to take part in it . 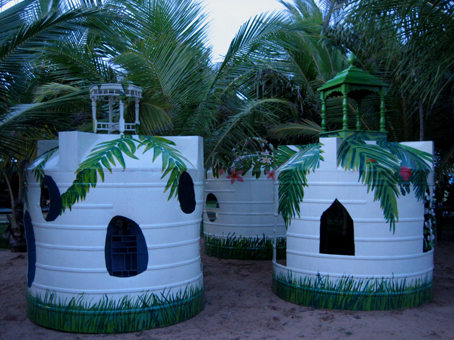 Kid’s Palace used water tanks to recycled into kid’s house or mini Palaces. 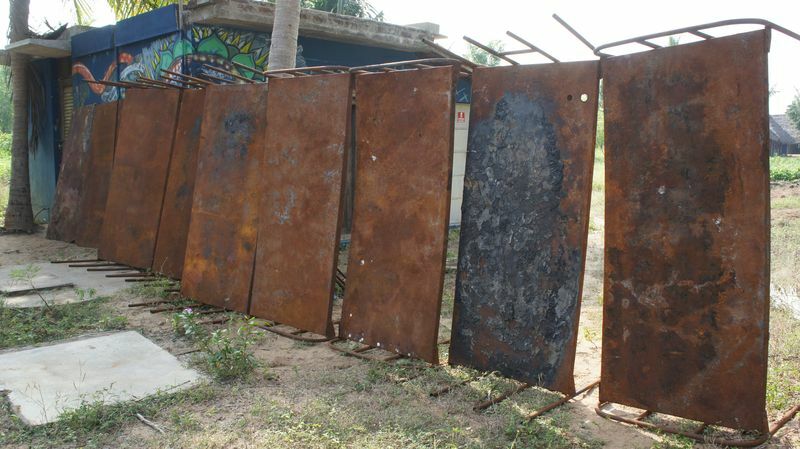 3 huge tanks opened with doors and windows and painted with nature camouflage to be invisible in the playground. 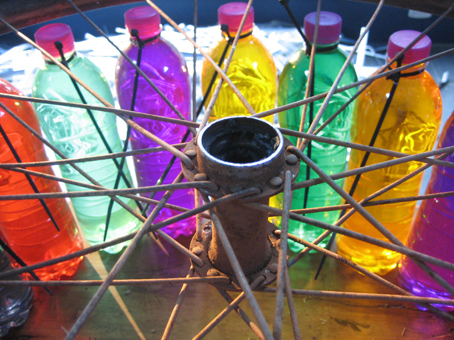 Chandelier in glass bottles + bicycle wheel Using old beer bottles filled with water and an old bicycle wheel, a chandelier was created. 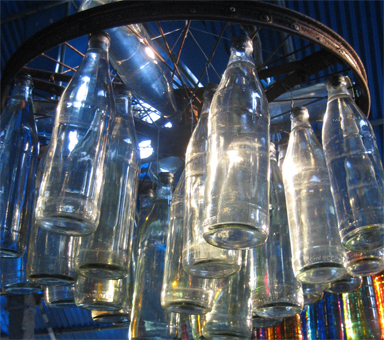 The presence of water in the bottles amplifies the light. 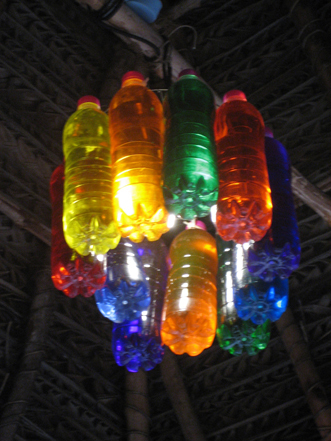 Pop Bottle lamps used mineral bottles (from the client’s consumption in the hotel) have been filled up with colored water: aligned or in circle, the effect is magic. 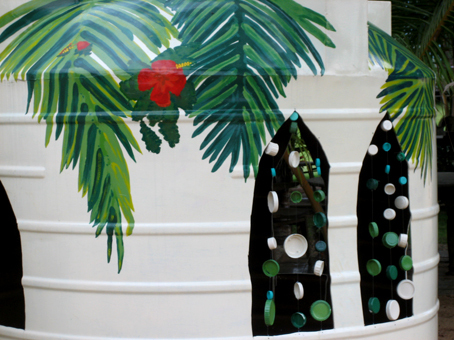 looks really nice in the huts of the kid’s playground. 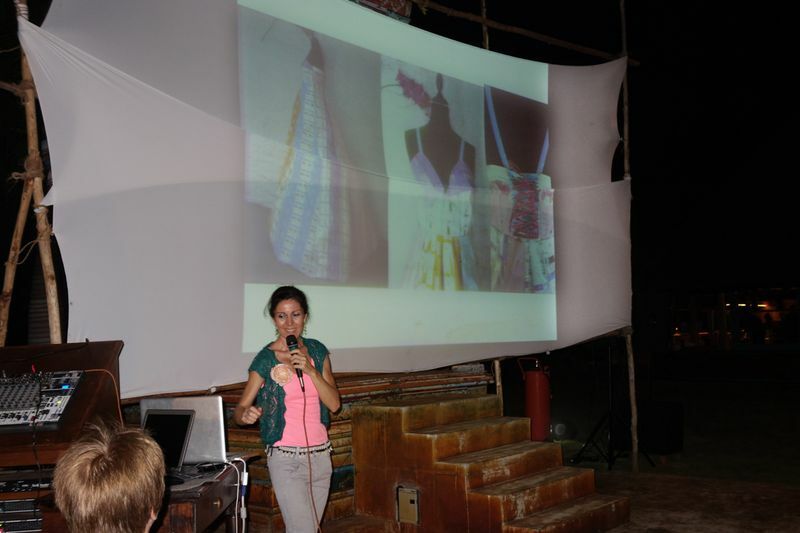 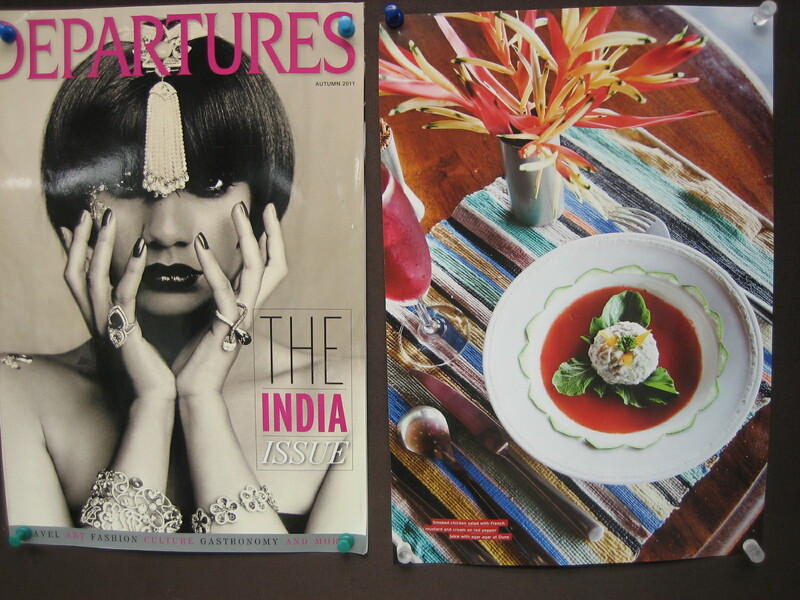 The story is too good NOT to be told ..........Earlier in 2009, while working at KHAMIR Crafts Center in Bhuj, I had helped develop the woven plastic placemats out of used plastic bags littering in the Gujaratian nature. 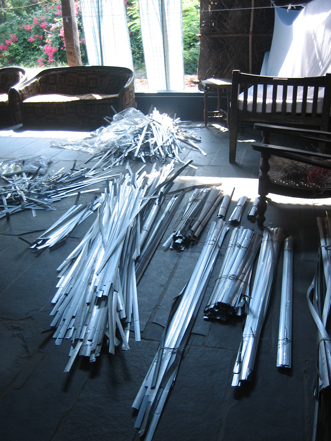 Multiple projects : making a fence out of old burn beds. 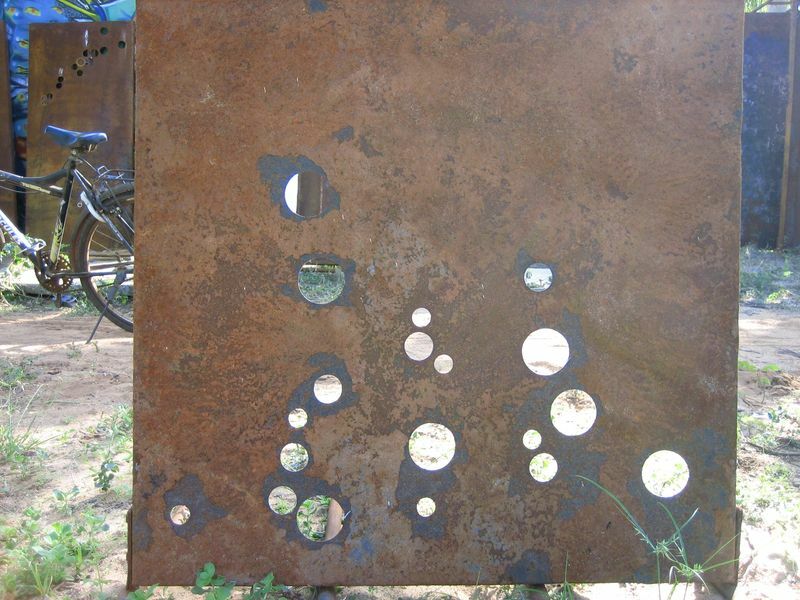 the "Bubble fence" is pierced with holes that will let a turquoise light come through in the night + ecodesign workshops with the children + presentation at Last School in Auroville, and New year's eve' presentation " new thinking for new times" with 200 guests.